Stunning granite bar, right here in Houston, TX. 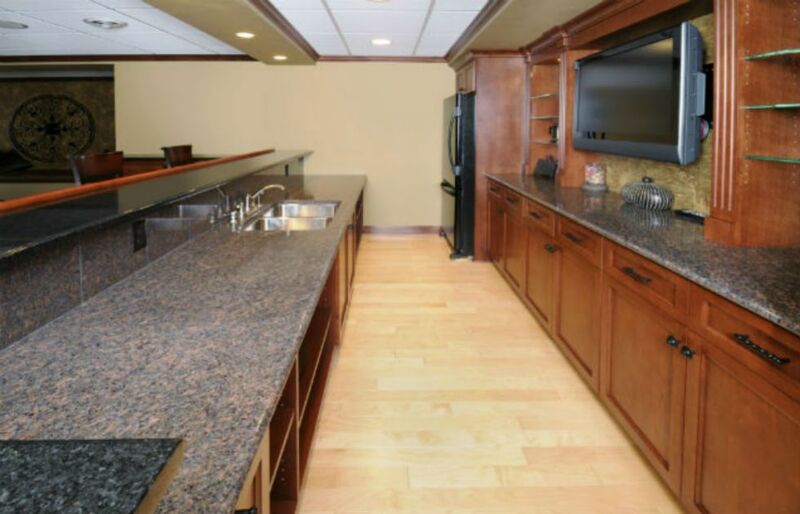 This spacious bar has a beautiful granite countertop that sits atop maple finished wood cabinets. Equipped with a full size fridge and stainless steel sink, this bar is great for relaxing with family and friends. Pull up one of the included wooden bar stools and watch sporting events or movies on a flat screen TV. Granite Bar To Make Your Houston Outdoor Kitchen Special! Perfect for entertaining small or large groups, this open concept bar area allows for seamless interaction between host and guests alike. We guarantee only the highest quality of service and materials every time. Custom built to order, Houston Outdoor Kitchen Pros can build you a luxurious granite bar today for the lowest price in Houston. Customers can choose from a wide variety of options to construct their bar space. Contact us today at (832)409-3542 for a free consultation.